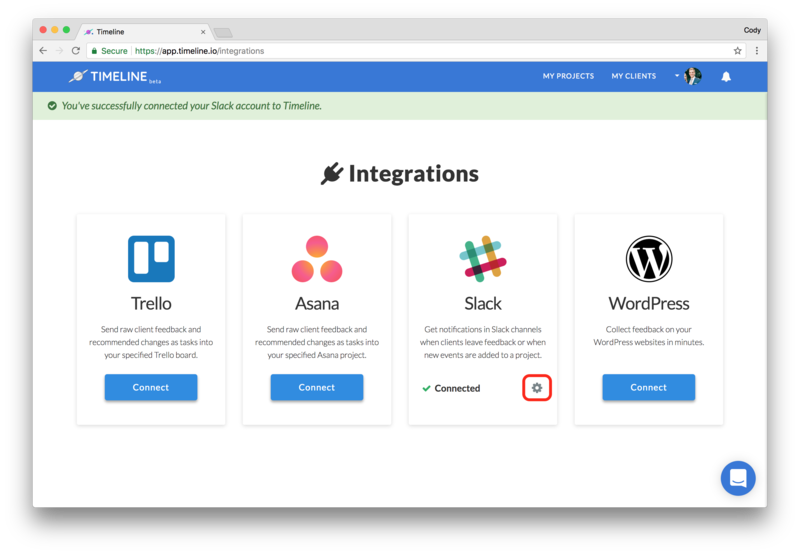 Here's how you can connect your Timeline.io account to your Slack account and receive notifications for activity within your projects. Step 1. Log in to your Timeline.io account. Step 2. After logging in, click your profile image or the downward-pointing arrow next it (both located in the right-hand-side of the navigation bar). Step 3. Next, click "Integrations" from the dropdown. 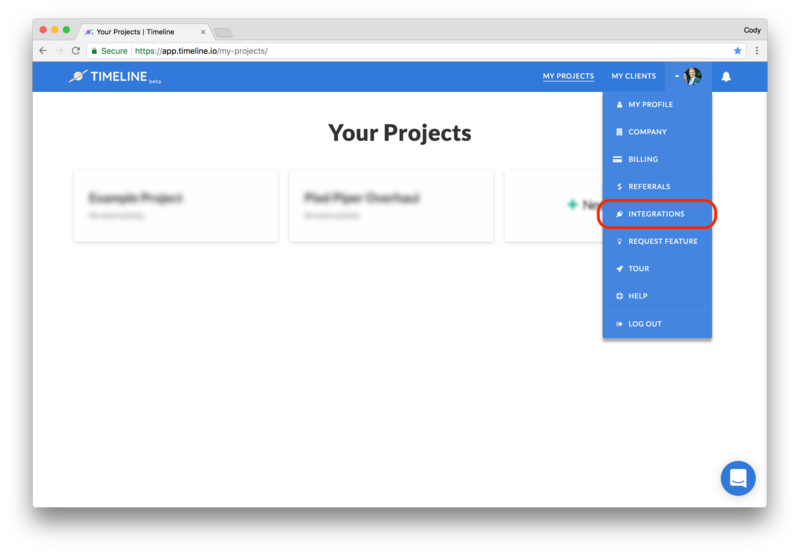 Note: You will only see this option if you are the administrator of your company in Timeline.io. If you just created your Timeline.io account, you are already the administrator of your company. If you are part of a multi-user company in Timeline.io, you will need the current administrator (visible from the "Company" page linked to in this same dropdown) to promote you to the administrator. Step 4. Click the blue "Connect" button in the Slack integration box. Step 5. If you are not logged into Slack's website, Slack will request that you log in now. Please do so now if you haven't previously. Timeline.io does not see or process your credentials. Step 6. 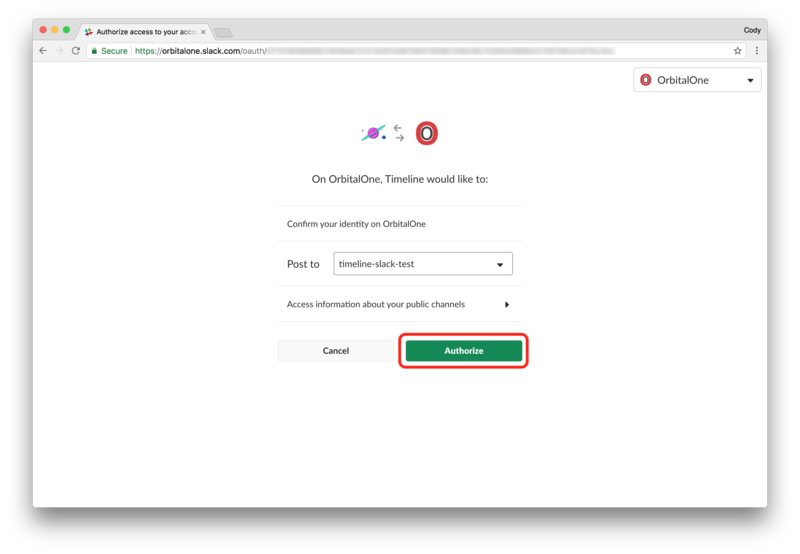 Select a Slack channel you'd like Timeline.io to post to. Typically, this is a channel within your Slack team used for notifications and/or interactions with external applications. Step 6. 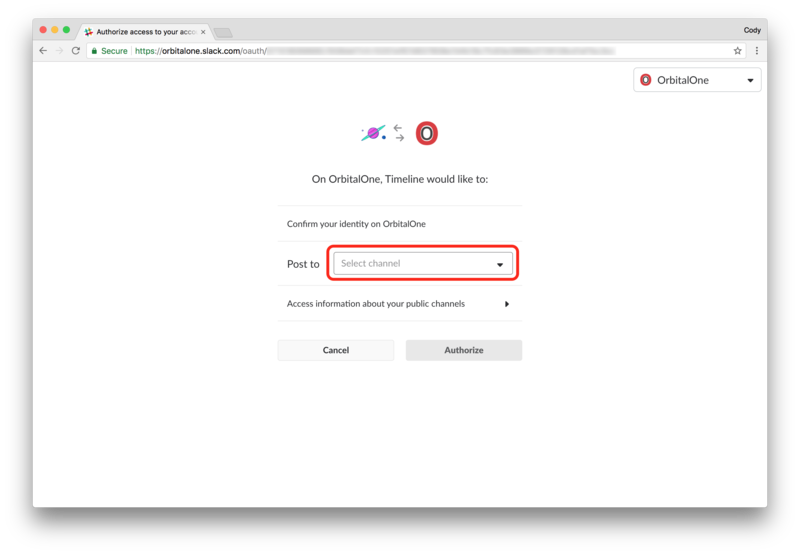 After selecting your desired destination Slack channel for notifications from Timeline.io, click the green "Authorize" button. Step 7. 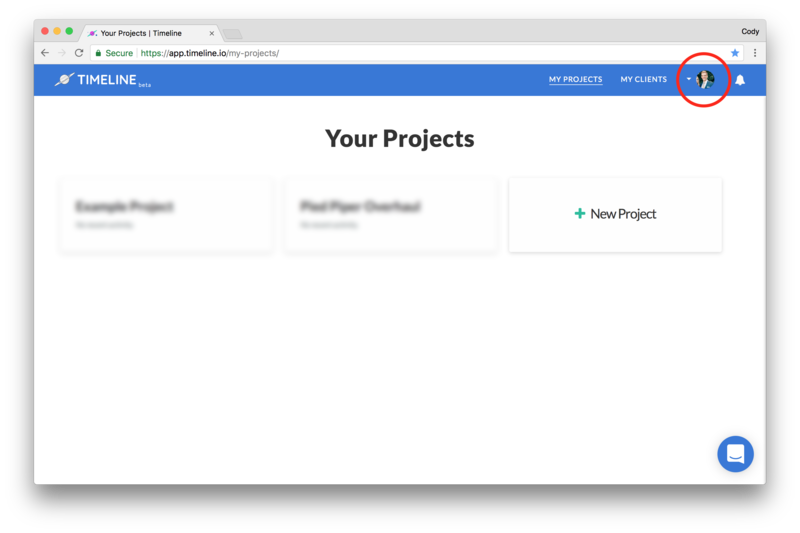 Following successful setup, you will see a success message at the top of the page. Click the gray "Cog"/"Gear" icon in the Slack integration box to configure the integration. Step 8. From this page, you can see which Slack channel the integration is posting to. 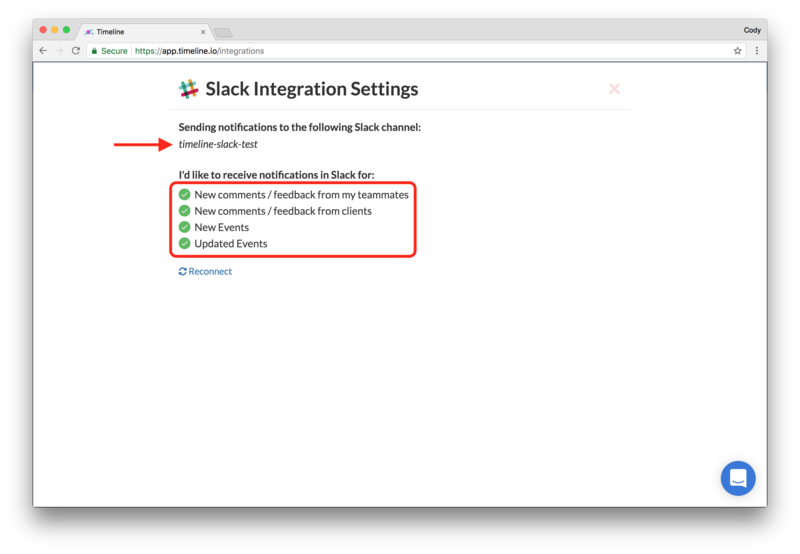 Select/deselect all user actions which you'd like to receive Slack notifications for on this page. To send Timeline.io notifications to a different Slack channel, click the "Reconnect" link at the bottom and repeat steps 5-7 above.